Our military tradition promotes a variety of life skills, such as planning, following directions, working on a team, setting goals, and overcoming obstacles. 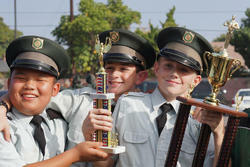 Through this unique program, SCA students become responsible, self-confident young men. 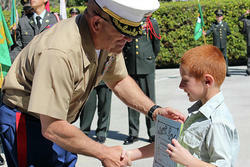 They learn to be leaders of honor and integrity through hands-on experience in our peer leadership program. 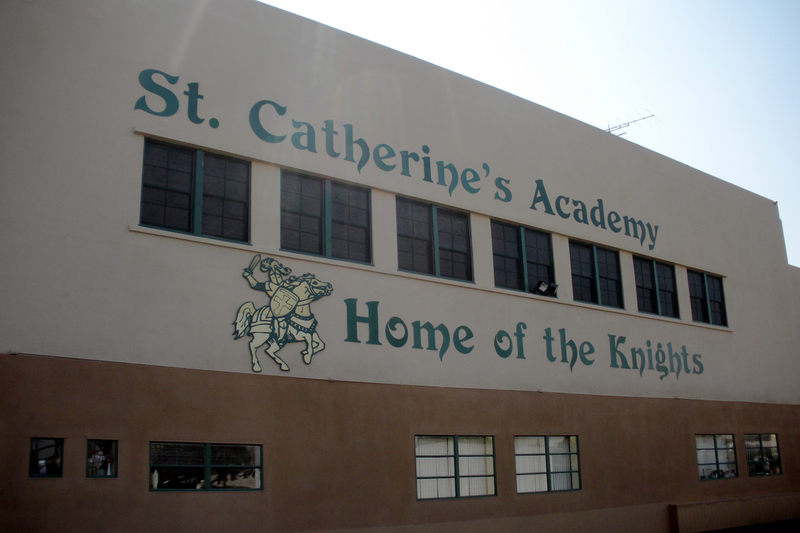 St. Catherine’s Academy is proud to be more than a traditional military school. Your son will also receive outstanding instruction in the classroom, participate in a variety of extracurricular activities, and grow in his own personal faith, guided by the Dominican Sisters of Mission San Jose who own and operate SCA. An overall program focused on younger students. We serve students in transitional kindergarten - 8th grade. Why Choose A Military School? 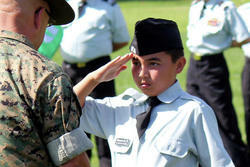 Military schools offer incredible opportunities for students, especially boys. Military schools today are a place for America’s best and brightest students to follow a college-preparatory curriculum while developing the personal qualities needed to become leaders of tomorrow. 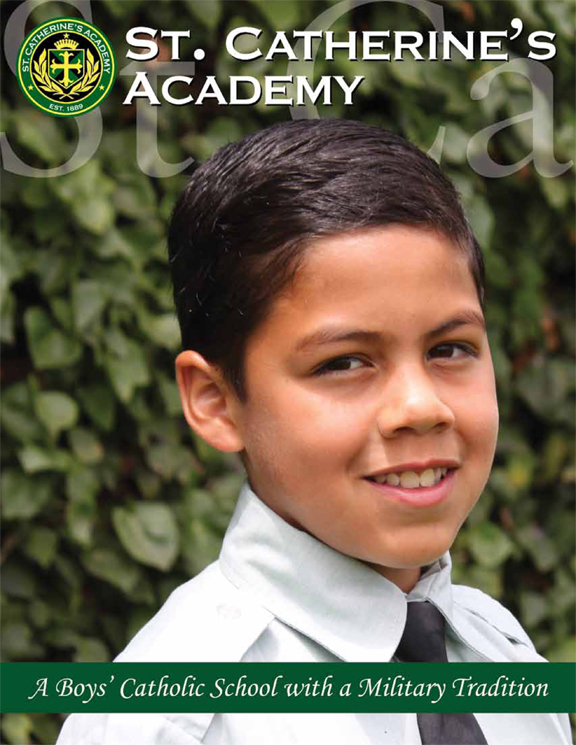 SCA offers a structured and predictable environment that helps boys learn and grow. Caring military staff act as role models of character, responsibility, and teamwork. Hands-on leadership experience prepares students for an outstanding future in a variety of careers. 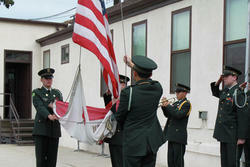 As a Catholic school with a military tradition, SCA is not a traditional military school. Our dedicated staff, led by the Dominican Sisters, provide a nurturing environment and well-rounded program. Military schools prepare students for high school, college, and life – not for military service. We invite you to learn more about how SCA can meet your needs for a military school by visiting the other pages in the military tradition section of this website. We also invite you to request more information or schedule a tour to learn more. Links are on the right panel of this page.